Since her graduation from Accademia del Teatro alla Scala in Milan, Georgian soprano Nino Machaidze has kept a full schedule of enviable roles at major opera houses; women like Desdemona (Otello), Violetta (La traviata), Micaëla (Carmen) and Thaïs (Thaïs) have brought her to Covent Garden, La Scala, the Vienna State Opera, Teatro del Liceu, and Los Angeles. 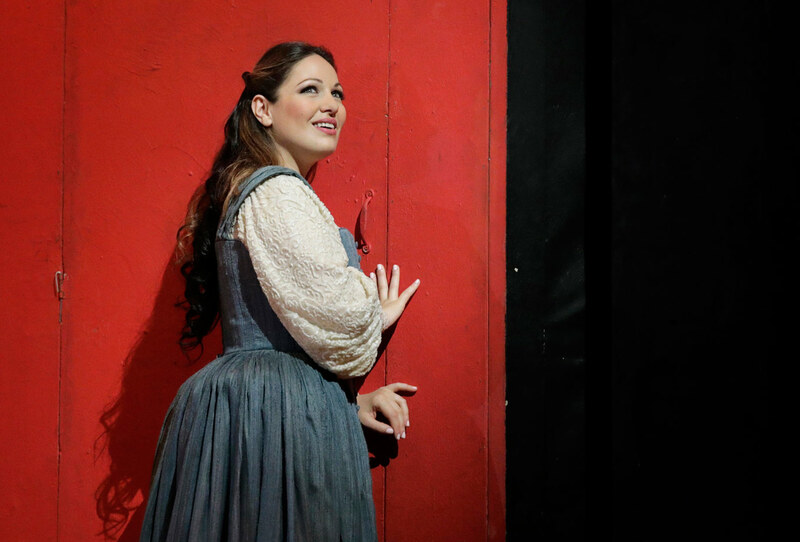 This week, San Francisco Opera opens Rigoletto, starring Machaidze as Gilda. We spoke with the soprano about playing young characters, the opera singer’s universal love of Verdi, and how social media offers her a major boost in connecting with her audience. What kind of woman is Gilda? What do you think are some common misconceptions about her character? Gilda is a naive, young girl who wants to discover life outside of the door of her house; she wants to love and be loved. She is also very unhappy with her father. From the beginning, her music seems happy and everything seems wonderful, but the words she sings are almost never happy. At the end, she sacrifices herself for love, of course, but also because her life no longer has meaning; she has discovered that outside of her home, life is not beautiful for her. Why do you think so many singers adore singing Verdi’s operas? You can’t sing Verdi without goosebumps and tears, just like Puccini. With Verdi, you must always wait to sing his operas because almost all his parts need someone of the right age and maturity. Gilda is a young character, but still her part as written in the score is lyrical and needs a lyrical voice. Of course, you need high notes, i “filati” e “mezze voci”; but Gilda needs a lyrical voice, especially in the last act where the orchestra is really loud and you have to project your voice to the back of the hall! Verdi is unique; Verdi is emotions; Verdi is perfection! Nino Machaidze as Gilda in Verdi’s Rigoletto, in rehearsal at San Francisco Opera. Photo: Cory Weaver. How do you stay sane and healthy while on the road for work? I like social media. I’m on Facebook, Instagram, Twitter and I’m managing them all and having fun posting from wherever I am. I have lots of followers especially on Facebook where they are already more than 100,000, so I know how they love to see my posts and live videos and I’m always receiving such wonderful and sweet messages from them. So I think social media is really important for an opera singer, because once you have your audience that follows you and loves you they are waiting for your posts and they are always ready to send you big love! I really appreciate it and I’m always happy to read those wonderful wishes. What do you know now about the singing career, that you wish you knew 10 years ago? I would not say there is anything new. After more than 10 years in this career, I still feel exactly the same. I always enjoy singing and am happy going on stage. I am always studying and learning. I would not change anything that I did during all these years. I think a long career is made by saying “No,” not by saying “Yes” to everything. Even when there are really attractive operas that you want to sing in that moment and important opera houses are offering them to you, even more you must say “No.” The more carefully you go, the further you will go!